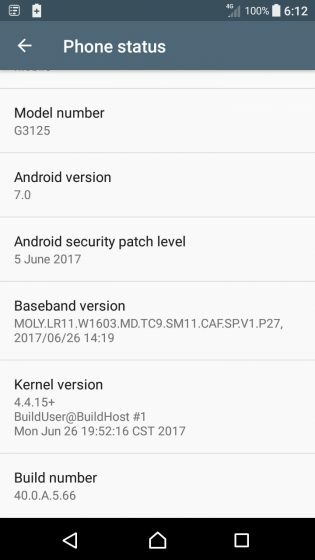 Sony is now seeding updates for the Xperia XA1 and Xperia XA1 Ultra which brings up the device to June Security Patch. Unfortunately, the update does not increment your device to Android 7.1 Nougat but instead provides a security patch for June 5. While the Xperia XA1 is receiving the build via build number 40.0.A.5.66, the Xperia XA Ultra is handing out the updates against build number 42.0.A.3.30 and will be sent out to its users via Over the Air (OTA). Sony is one of the few manufacturers who provides a complete security patch, which is received on the 5th of each month as opposed to the partial security patches, released on the 1st of every month and sent out via companies. The complete security patches cover minor bug fixes that the partial patches miss out on, the complete patch also provides additional fixes for the issues that arise in the first four days of each month, subsequent to the release of the partial patch.